Hurricane Harvey blows. And not just the wind from the storm. My wife and I lived in Houston for a short amount of time and understand how flood-prone that region is. But 50+ inches is simply unfathomable to us! We've found Houstonians to be among the most welcoming people we've encountered and surely worthy of the legendary Texan spirit. But right now, they need all the help they can get. 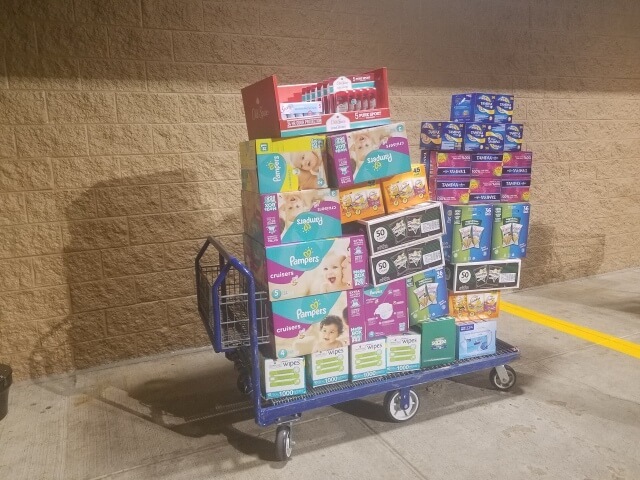 We've teamed up with a few local Pennsylvania businesses to provide necessities such as diapers, wipes, deodorant, soap, and non-perishable snacks. The first load of Stoltec Moto's contributions (shown in the picture) will be transferred to the Houston-bound shippers at the end of this week. It may not be much, but everything helps! Here at Stoltec Moto, we are embracing the 'more is better' philosophy and are setting up a donation option on our website. Customers will be able to make a donation on the site during checkout, and to show our appreciation, we'll be matching your donations through 9/13/17. Additionally, we'll be donating 10% of all sales during this time to relief effort. Long before there were government relief efforts, there were families, friends, and neighbors. Help us embrace this spirit by lifting up our brothers and sisters in their time of need! Bump! Cmon guys, get some killer upgrades and help the hurricane victims all at once! For some reason, just realized that this thread was never updated back in September...jeez, time flies! To all of our customers who contributed to this cause - thank you! To everyone who purchased from us during this time, thanks to you, too. Between the matching contributions, portions of sales, and some from our end, we managed to donate over $1,677 to local charities in the Houston area. Every little bit counts in helping those in need.